Aragon helps you build your own DAO (decentralized autonomous organization) on the Ethereum blockchain. Build unstoppable, global, bureaucracy-free organizations, companies, and communities using the world’s first digital jurisdiction. 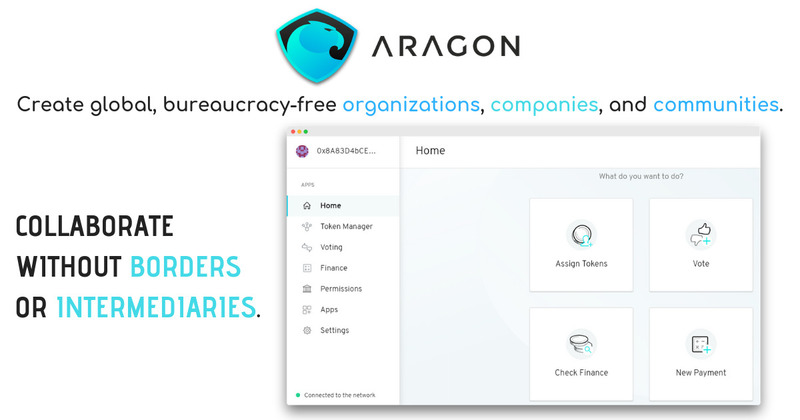 Aragon empowers freedom by creating tools for decentralized organizations to thrive. Discover the unparalleled power to organize. Whether you want to collaborate with your co-founder, open a non-profit, or just organize an online community, Aragon is there for you.